IMCDb.org: 1986 Volkswagen LT I [Typ 28] in "Kommissar Rex, 1994-2017"
Once I found a brochure of it, the conversion was Austrian, if I remember correctly. Honestly, I don't know. 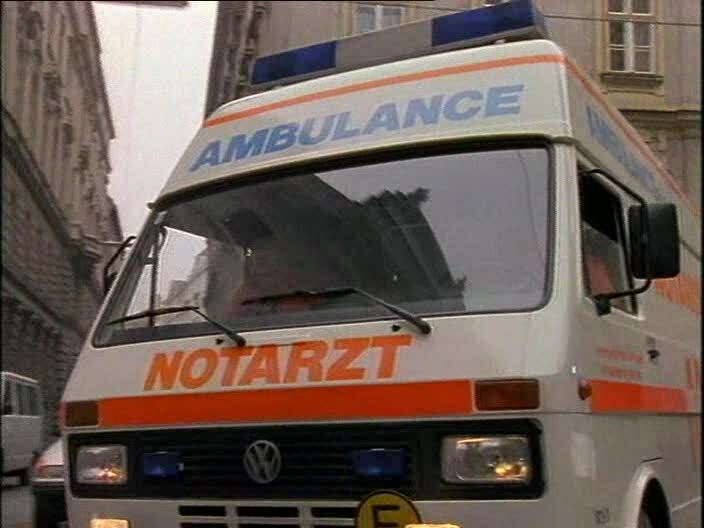 I find van-based ambulances without any visible alterations extremely unimpressive. For me this is just a plain LT with a high roof and two light bars on it - nothing to waste my time researching for.